For me Australia has always been something contested, something to grapple and work with, something to move in and around and out of. I grew up in suburban Perth, but my childhood was marked by trips outside the city fringe and overseas. My father is from the Wheatbelt, and we have been going to the South West of Western Australia for as long as I can remember. My mother’s family is from India, and cousins, aunts and uncles lived in South East Asia. We used to visit them for school holidays and before I was an adult I had travelled to ten or so countries in three continents. It was a fortunate upbringing. These places were all ‘not Australia’; they all perform some sort of negative labour in the definition of my nation, which if unknowable is a concrete assumption that demarcates the boundaries of my life. Indeed, to apprehend this thing one needs to place it in a web, economy, system of relations. I always knew I was Australian, but I did not quite know what ‘I’ was or what ‘Australia’ was in order for it to be so. I still don’t. This is partly because of the indeterminacy and misleading quality of ‘I’ itself, but there is also the resilience of being ‘West Australian’ and ‘a person of Asian origin’. The eastern seaboard defines so much of ‘Australia’. Sydney and Melbourne, or particular parts of it, matter immensely in media and political representation here, in the life of power. So too do Canberra and rural places, around the Snowy Mountains for example or Queensland beaches and Tassie forests. When I finally came ‘over east’ I recognised the bush from Nolan and Streeton and Withers and others, from Lawson and Paterson and ‘A Country Practice’. It did not occur to me to visit these places when I was younger, assuming I had time and that they would be similar to the home I knew. How different they were when I finally crossed the Nullarbor. In contrast I could not wait to leave Australia. I got my first job when I was 13, making pizzas two nights a week in a corporate fast food chain. I made $5.62 an hour and for the next four years put away most of it. I got that job so I could leave home. When school finished I made my way to America and Europe for a year, living on a $5000 shoestring. While I was away I don’t think I had a consciousness of my Australianness. I knew, of course, that I was not at home but I did not have the language or tools to reflect on what that meant. I was, like any colonial boy, trying my hardest to swallow ‘Culture’ whole. I wanted to be educated, to be learned, to be civilised and that meant going to the places I had been told were important. Cue the Louvre, the philharmonic, the opera, the ballet, the Tate. Cue too the Joshua Tree, jardins, the Alps and the Mediterranean coast. I was, in other words, trying to be a cultivated, bourgeois European, and it was as alienating as it was attractive. This cultural learning, which is not ‘ours’, is integral to being Australian. It conveys the way in which we are less than autonomous. That might be for reasons of size, though to challenge such a claim one could point to literature in Ireland or music in Jamaica with their disproportionate global sway. But it might also be for reasons of history. There is a tradition of going to the metropole, if not to prove oneself, then at least to learn a craft and way of seeing. This was supported by the ‘golden route’ of previous academic generations – Australian undergraduate degree, Oxbridge postgraduate followed by plum sandstone position back home. This however is a little antiquated, or rather it has been complicated by the growth of Australia in population and cultural production terms, and by the style of that growth. Paradoxically, Australia has achieved more self-definition since its opening up from the 1970s onwards, due in a racial sense to the end of the White Australia Policy and due in an economic sense to the floating of the dollar, the liberalisation of banking rules and the 1984 Accord. I do not mean ‘self-definition’ only in the nationalist sense of wanting to explain and explore national characteristics, but also as being more self-definite, more self-assured, more self-confident. By being placed in a globalised world Australia’s localism could be more easily perceived and that I think gave us an increased power. To make a corollary, John Kinsella trades on his Wheatlands’ identity, his rural authenticity, precisely through participating in a world economic network that traverses the transatlantic. Similarly, the flat white or smashed avocado on toast is perceivable as a thing in and of itself because it is away from its roots. Or, when writers of colour gather round we do not talk about being writers of colour necessarily. We become who we are by having an Other. For any group to define itself then we need an audience, an interlocutor, someone who is ‘not Australian’ in this particular case. In the middlebrow imagination Australia still looms as a frontier, masculinist and white. This is Steve Irwin and dangerous animals, lifesavers and surfers, rugged leading Hollywood men. 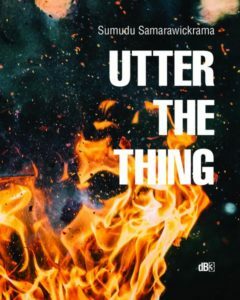 In the poetic imagination, or imaginations, it is harder to say what Australia is – the success of Jacket2 matters, but one need also acknowledge Les Murray’s position on MFA reading lists and Robert Adamson’s recent success in America. It is still all about the nature. But to highlight these examples is to reinforce the idea that Australia’s best Other is still the transatlantic metropole. What of the linkages, relations, routes of different connections? This is not the place to suggest some ill conceived ‘world literature’. But we must acknowledge that individuals access different aesthetic, and political, possibilities through their taste and experience. I realised my ‘Australianness’ when I lived in India as much as when I studied at Penn, even as there is a legitimating quality to the latter. Now though I can cognise ‘Australian poetry’ as part of an ecosystem that includes Africa (see Jalada), the Caribbean (see Calabash), Latin America (see Cecelia Vicuna and Ernesto Livon-Grossman) and various Asian intersections. Note too that these are not nations. This suggests that there need not be a return to the nationalist moment, but rather that ‘Australia’ in a continental iteration has merit and resilience as an organising principle. So too might ‘settler’, ‘Anglophone’ and a whole range of other groupings that intersect with a certain population here. Australian writers have always had to compete for the attention of the best sort of readers with contemporary English and American writers, whereas their opposite numbers in England and America have been assured of the attention of the most discriminating part of their home public. As a result they have often had most success with, and perhaps unconsciously aimed at pleasing, a less discriminating class of readers whose tastes were not so ‘literary’; and they have tended to avoid competition with overseas writers and have concentrated on being as ‘Australian’ as possible. This has meant, in effect, the attempt to set up a special and purely Australian standard of writing. These words are complicated and contestable now (we see, for example, the gloss between ‘literary’ and the empire, the discernible note of heteronomy). In Hope’s words however, we could see something about writing as an ‘Asian’ or a ‘person of colour’ in today’s Australia. In other words, ‘Asian Australian’ writing has often attempted to set up a special standard of writing. This is to say there is a middle lens where one is caught by one’s authorial identification but also wants to transcend it. I don’t think I am alone in saying I want readers beyond my ethnicity, contested though that is. The aim then is de-hyphenise that identity and the identity of Others in the lexicon of the literary bureaucratic establishment. This is to say why can’t ‘Asian Australian’ stories be ‘Australian’ stories? Or why can’t ‘Australian’ stories be Keatingly ‘regional’ or even ‘universal’ precisely because of their particularity? This though is not a new question, but an ongoing concern that need be addressed again and again. To constantly be pigeonholed is to undermine the potential reach of specific identities. It says, in other words, you are welcome here but play your role; thanks for coming but we will not accommodate you. The aim to break into the empire is essentially assimilative – the foregoing of a smaller frame of reference for a larger one. But assimilation brings with it changes to expectations and structures. It is not, never has been, never will be, a one-way street. When Australians write to ‘the world’ or ‘the literary’, which makes their whiteness invisible, Australia changes in itself. When Asian Australians write to ‘the nation’ they change the nation too. Indeed, in riding our bikes along that road, we want to acknowledge that the rules of the game need change. And that change has not been readily forthcoming if we are to judge by the programming hours of literary festivals, the identity of literary bureaucratic workers, the diversity of prize lists and the formal expectations of the artform. Indeed, this question of identity matters to me in so far as it matters for the style of writing that is given space and promoted. I cherish the presence of Asian Australian poetry not because of some supposedly natural association between our embodied histories, but because of what it offers at the level of form and style to the context of writing in general. That is also an ethical imperative. There are of course other networks to be made – ‘person of colour’ and ‘Indigenous’ are discursive terms that exist in the transnational Anglophonic world and there are differences in their meaning and implication in the USA, South Africa, New Zealand and the UK for example. There are also differences inside those places. Indeed, one of the ways in which these labels are red herrings is that there may be more similarity between the Drakensberg, Saskatchewan and the Kimberley than there is between Brunswick East and the Kimberley even though the latter two are both in Australia. The affective bonds of the nation are maintained in part because of the material realities of politics. Houses of parliament still matter then in helping us to make sense of the boundaries of our own cultural lives, they still reach into our day to day despite the growing presence of multinational corporations that disregard all forms of localism. There is power yet in ‘Australia’, especially because it will never be settled. To write back to it though as an empirical experience means not only giving marginalised stories space, but doing so in a voice and style that is particular to different experience. We need then to contest the hegemony of an invisible race thinking through claiming this land as our land, and in so doing re-consider the boundaries of the possible and unsettle the great trauma of occupation, our exile from the kingdom. That it must come from an essential love of place is what can motivate us yet. Since the publication of Oodgeroo Noonucal’s We Are Going in 1964, there has been an expectation that Indigenous Australians have been speaking for themselves within the poetic literary economy. But to highlight this one book is to deny the pre-history of Indigenous writing and it is to focus on the author as autonomous individual rather than the network in which this work occurs. Critics, from Stephanie Honor Convery to Peter Minter and Anita Heiss to Michael Farrell, often like to cite Bennelong’s 1796 letter to Governor Philip as the first example of Indigenous writing. But we do not know for sure if he penned the work or had it transcribed. In that sense there are other informants before him, whose voices we can hear against the grain of primary sources, and there does exist a 1792 transcription of song lyrics by Bennelong and Yemmerrawanne, which was recorded when they performed for an aristocratic audience in England. This factual attentiveness is important partly because we make judgements based on the past and partly because they can reframe abstractions. Indeed, decolonising Australia means historicising it materially, means decolonising the idea that there is one Australia, which also means deconstructing the idea of a hegemonic Indigenous experience. My relationship with Indigenous Australias is not only in the archive, but in the lived world as well. My father’s father came to Australia in 1925, the year between the Bedford Downs Massacre (1924) and the Forest River Massacre (1926), which are claimed to be the last two massacres in Western Australia. He worked as a baker, logger and whaler in the South West and Wheatbelt alongside Aboriginal people who he knew as Jacky and Nugget. As a returned serviceman my uncle was ‘given’ a settlement block by the government on the Gibb River Road. He and my aunt turned it into a cattle station and lived there with local traditional owners, participating in ceremonies and law. They worked the land for twenty years, but left the Kimberley a shade before equal wages came in with nothing in their pockets. When I look back on this era and their role at the frontier, I have mixed feelings, a sense of shame for my family’s participation in what many would describe as colonialism and a sense of pride because it looks different when you are at the coalface, not in the ivory towers or café confines of relative metropoles. When they went back there in the 1990s to return religious artefacts that had been given to them, the community asked that they continue to hold onto them. One of these pieces is an item that my aunt swears has protected my cousin, who is an SAS soldier, through twenty years of front line war service. Such belief is not easy to think through. On my mother’s side, people often think her and my aunties are Aboriginal. In one incident we often laugh about, one (white) woman came up to her and said sorry on the day Kevin Rudd apologised in parliament. But it has happened on other occasions too. It has also led to abuse. My own life though has always been entangled with that of Indigenous Australians, from urban Noongar primary school friends to my Ngarluma brother-in-law and nephew today. When I was a kid I was part of a pilot Aboriginal Studies school program and got to meet people like Pat Dodson and visit missions in the Gascoyne. I have worked though most closely with people in the Pilbara, and continue to read and learn Western Pilbara languages with the help of family and Wangka Maya language resources. In one way of framing it though, the issue of mining and land rights up there looks very different from the concerns of people in a particular scene in Melbourne or Sydney, regardless of their Indigeneity or not. There are paradigmatic ways of speaking about Aboriginal Australias. One, that it is monolithic; two, that it has representatives; three, that it is full of infighting. We see different representations by non-Indigenous writers too, which hark back to a less salubrious past. One notes in Tim Winton’s latest work Island Home, a representation of one Aboriginal man as having a voice ‘untouched by modernity’ who, when sleeping, ‘looks as serene as a child’ (212). I would not be so bold as to think my observations could be projected onto this particular case in Winton, but I do think we need be mindful of historical representations. To that end, I wonder how one can be ‘untouched by modernity’ when one is riding in a car and I would also wonder what are the benefits for the burdened white man infantilising an Other as he steers the car like a benevolent father. The old men I know up in the Pilbara love country and western music and that, however unconsciously, flavours their singing; the youngfellas prefer Akon and Kanye. And they all look like men when they sleep. These two examples from Winton though are simply the most obvious, and they betray something of the acceptable racism of middlebrow populism today. However, occasionally a text will come out, such as Alexis Wright’s Carpentaria, that appears to pay absolutely no heed to Western narrative convention. Wright’s first novel, Plains of Promise, has a relatively linear structure. Carpentaria, on the other hand, sprawls: the narrative sequence loops backwards and forwards through time without warning, characters appear and disappear in strange, apparently unexplained circumstances. I argue that part of what makes Carpentaria important—and so strange to non-Indigenous readers—is that it represents the lived experience of traditional stories as cultural adhesive. But many (white) readers find the novel incomprehensible and inaccessible. The suggestion is flawed though in that there might be a Western narrative tradition that need not be explained. How is Ulysses the same as War and Peace? Is Tristam Shandy the same as At Swim Two Birds? We need a Propp-esque Morphology of the Western Novel before we could suggest as much, let alone a materialist sociological survey of who and how today’s non-Indigenous readers interpret. One would only set up these binaries if one is invested in seeing Indigenous and Western as opposing forces in a binarised world, not interacting and porous heuristics constantly in need of interrogation. And, what too of this convenient slippage between white and non-Indigenous? Malayalee epic poetry ‘sprawls’; there are examples from Latin American (One Hundred Years of Solitude), Chinese (various works by Mo Yan) and African (Ben Okri) ‘magical realist’ novels where time ‘loops backwards and forwards’; and characters ‘appear and disappear’ the world over. This is, yet again, the failure of criticism to deal with text but it is also about the sedimentation of an antiquated race thinking in Australia, which needs to be contested. When I went up to the Gulf of Carpentaria with Alexis in late 2013, I remember her telling me the importance of listening to ‘your old people’, which is not to say who those old people are. In remote communities all over Australia those people are more mixed up than ‘we’ like to think, mixed up in the sense of identity, which is racial amongst other things. How else could we get someone with Chinese, European and Aboriginal heritage writing about modernity and myth? But this aporia and hegemonism is there too in Indigenous writers. In Madee Clark and Genevieve Grieves ‘Decolonising Solidarity’ in Overland there seems to be some sort of Indigenous experience approaching the unitary. This is supported when they write: ‘What is the role of non-Indigenous people in Indigenous affairs?’; ‘How can non-Indigenous people truly be effective allies for Indigenous issues?’; ‘Throughout their lives, non-Indigenous Australians often remain largely ignorant of the history and present realities of Indigenous Australia.’ But for me, Melbourne, where both these women are based, is a long way from Cheeditha and to yoke these two places together through something called ‘the Indigenous’ often occludes the power relations of lived experience. It might be one thing to show solidarity, but why should a demonstration in an East Coast city be counted as more important than a daily interaction on country? In other words, what is to be gained by perpetuating these basic identity categories as assumed forms of authentic cultural capital rather than calling into question their very foundations? Why can’t someone who works in a remote community (and may happen to be non-Ngarluma or non-Banjima or non-Yindjibarndi or non-indigenous) speak with, for, against their lived experience because of a reigning paradigm of Indigeneity? In other words ‘Noongar life’ is different from other life and it, in and of itself, might not be a worthwhile category such is the multiplicity of experiences within it. 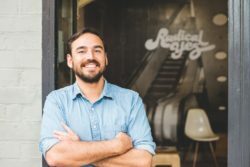 Being a fellow traveller to Indigenous Australias means not only being cognisant of its histories, which is not the same as its myths, but also constantly questioning the assumptions of discourses of colonisation, settlement and race. We need challenge the foundations of those very categories, to ask what is to be maintained by double consciousness rather than hybridity or homonymity, to ask who benefits from speaking of groups based in race, to ask what are the material circumstances of specific individuals as individuals not as ambassadors. We need also question the validity of lived experience decoupled from analytical endeavour, and vice versa. If we begin to do so we might begin to describe a vision of the world that we can welcome rather than remaining locked in ignorant narratives that curtail our very possibilities. Like my mother before me I live in exile. She from nation; me from country. She was raised in Singapore and has lived ‘here’ for 30 years, but she still feels outside ‘Australia’. This is partly about race, partly about place. My father lives, I think, with a sense of belonging even as he is as peripatetic as anyone I know. That is because he believes in the nation state as a home, which is only reinforced by going overseas every three weeks or so. He is ‘Australian’ rather than a person from the Wheatbelt who migrated to Perth. Country is not nation. I do not only mean to invoke, least of all appropriate, the Indigenised discourse of the former, or borrow naively the political science of the latter. Rather, I mean it more simply – borders, boundaries, maps are not natural, but cultural, imposed, recent. How we talk about nature has similar structural issues because it is part of language. But its endogenous, definitive markings make a more ecological, knowing sense – rivers, mountains, desert as features of division longer, older, more authoritative than English, a politics that is not about identity as we know it. The Great Lakes is a country even as it crosses two nations; Lake Ottawa is more like Lake Michigan than the Mojave Desert. Australia is a nation, but to me is many countries. In the 1878 Report [about the continental Western United States] Powell had two revolutionary recommendations that continue to reverberate in land-use debates today. First, because water is the key to development (and irrigation the ultimate agricultural objective), land management units should be organized around watersheds. This would require scrapping the “township and range” survey system that imposed a rigid systematic grid pattern on the land. This led to the vast checkerboard of land holdings familiar to any transcontinental airline passenger with a window seat. In its place, Powell recommended a management plan and a survey system based on watershed units. Using watersheds as an organizing principle, the whole region would be subdivided along topographic lines, beginning with large river basins or districts, such as the Rio Grande in New Mexico, within which would be nested smaller districts, such as the San Luis Valley. Each district could be evaluated in terms of the water it might yield to support irrigation. Powell’s watershed approach was revolutionary by acknowledging that different lands within one region had different economic potential. He further asserted that the government, which was seeking to transfer lands into private hands, must perform surveys to establish the potential value of the land and make survey results known to the public. Based on his experiences in Mormon Utah, Powell felt that, rather than relying on individual initiative, communities should undertake development of western “watershed commonwealths.” This was a significant departure from the Jeffersonian ideal of democracy based on individual independent farmers that had helped propel westward expansion. A ‘watershed democracy’ that Powell talked about then is about country, about responding with land management tools that pay appropriate heed to the natural environment rather than impose arbitrary political frames on top of land. It is essentially a permacultural vision of the American West. Why should state lines be straight? 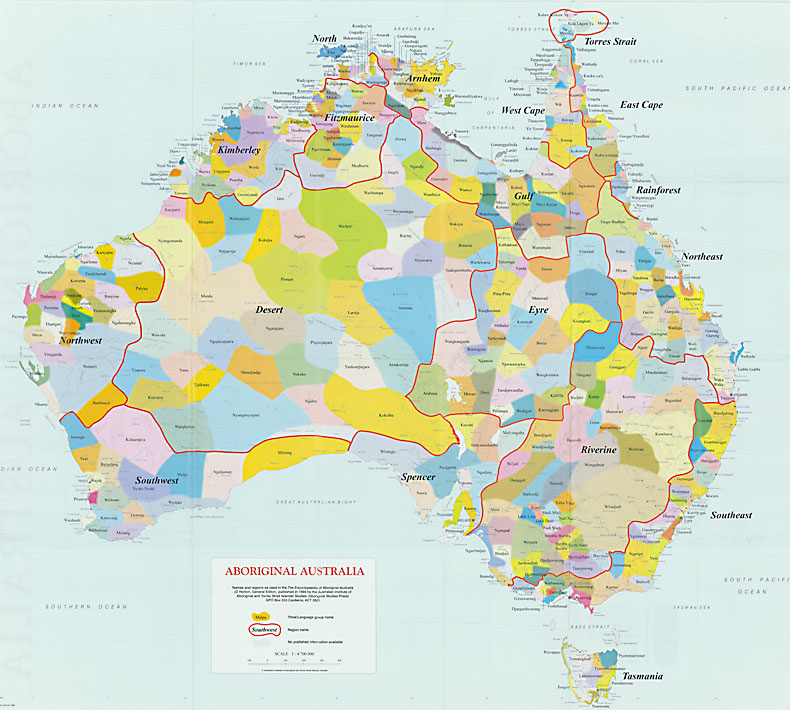 The Southwest of the continent mislabelled ‘Australia’ is my country (see here: http://gsp.yale.edu/sites/default/files/images/Aboriginal_Australia_Map_sm.jpg). I do not claim it though, as if to explore, prospect, prosper, own, farm. It is simply where I am from and connected to, and which is why I say I am in exile when I simply live in Melbourne. If one wanted to be more specific I would say Lake Herdsman, the Swan River and Redgate Beach are important sites for me, and have furnished me with my deepest spiritual experiences yet. That we rarely hear from writers of colour about the relationship to nature is to me an ongoing disservice to our diversity of experience and ‘national’ identity. I grew up in the South West’s cracks and crevices, in its waves and breezes, in its alienation and dislocation, in its anger and submission. All my sensory memory is tied to that place when I think about my daily life – I did not wear pants until I was thirteen; I was swooped by magpies and still look to check for them; I burnt my feet every summer at the beach, when I had double gees and bindis stuck in them too; I assume a certain flatness to country and a sameness of weather; I assume I can roam around and find bush even in the city; and that birds are simply everywhere. The South West is, in our times, the place of Winton and John Kinsella. Although I recognise Winton’s places more, there is no duende in his writing, no dialectic of enlightenment. If one is too close to what one claims to care for, one cannot see it clearly. It is an anxious man who need check in so frequently. It is also a Romantic one who so need extoll his closeness to bush as if to perform that connection rather than simply be with and in it. Kinsella, though I appreciate him more in an intellectual sense, brings with him a sensibility of place that seems foreign. He is from where my father is from, but his world of salinity, poison, hunting, farming is a type of ‘Australia’ away from my saltwater country. Both of them though are attached. Similarly, I have Redgate, which is my Wheatlands, which is my Angelus. My mother and I are fortunate in that we can return to our homelands, but often we live a little muddled – especially when confronted by our unbelonging and the entreaties to be settled. But living in exile is not a romanticisation of the literary theory of unsettling, which has a trace of nomadics (heavy in Stuart Cook, lighter in Michael Farrell). Exile has discernible, traceable, real roots, which are not origins but genealogies. Everyone has roots. In my experience white people in the context of Australia forget that the most. They are not asked where are you from, which allows them to distance themselves from history, especially of family. It might also be a question of asking: what sea are your archipelagos in? My islands might be Brunswick East, Wembley, Roebourne, Redgate; or Melbourne, Perth, the Pilbara, the South West; but there lingers too a trace of Lyneham, West Philadelphia, Charlottenburg, Montparnasse, Kalkaji. Those are the places I have lived for extended amounts of time, and their connections are made only in my life. But for the most part my sea is ‘Australia’ even as I do not wish to speak to, with, for, against the nation but situate myself here for political reasons, for reasons of the body. Those lines are from his poem “Parachute Men”; and if ever there was an image that is appropriate and definitive on the liminal but dynamic condition of the exiled writer, the parachutist or free-fall glider is surely a front runner. Exile then is an embodied thing, an in-betweeness, and we have not yet left or certainly arrived, maintaining a pushed and pulled identity. Part of it is physical; part of it is in the mind. As an intellectual I was in exile in Perth, away from centres of knowledge that I wanted to be part of. Away from the South West my body cried out for salt water, too bright sky, red tail black cockatoos. Melbourne has not solved either of these issues, and nor do I want it to. Exile does not always have to tell you, like Soyinka or Peters, what it so obviously is either. Exile is there too, submerged, in Celan, Wittgenstein, Marx, but not Sartre, Foucault, Althusser. It is not quite homesickness, not quite alienation, and perhaps all of us in ‘Australia’ live in some sort of exile from history. How then to live in exile? The body is a home wherever we go, for that is where the heart is. My body looks at home in Cuba, Mexico, Peru, Bolivia, France, Spain, Italy, Northern India, America, Canada, even Australia. When I was in these places people assumed I was their citizen. And I have been asked by nationals if I am Argentinian, Moroccan and more besides. My body’s social place then is in a lot of places, and part of that is about being a man with certain class privileges. But part of that is about me and my belonging and reception in the world. I am at home in my body – how can I not be? But writing, language, has also been an origin, a shell, a skin – the notebook goes wherever I go. It will stay once I am gone and with it, I hope, someone can make sense of a home I am yet to call my own.